What seems like a long time ago I bought a Rooth LS8 directly from Rooth in China; however my recent information request was forwarded to Tomo from HFI International in Japan. 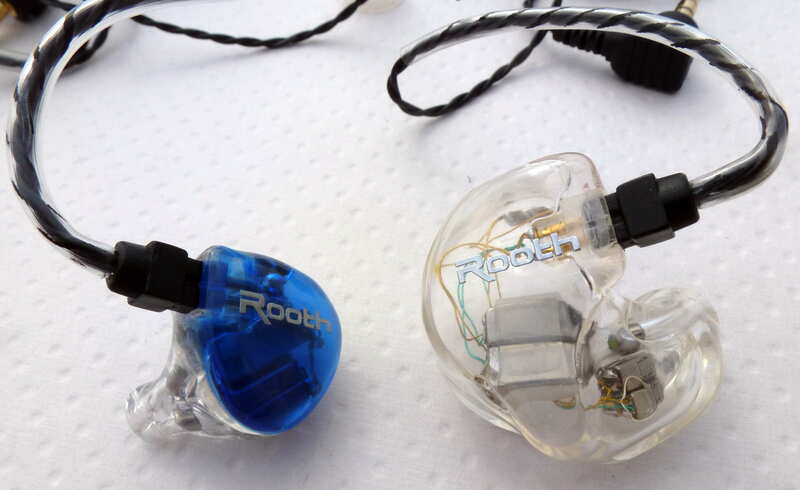 Tomo informed me there were new Rooth custom in-ear monitors in the works, specifically the LS8+ and LSX5 as Tomo wasn’t 100% satisfied with the LS8. While I like the LS8, I can see where Tomo wanted to improve upon the sound. Tomo offered to send the entire lineup in demo form for audition and since I have a customized LS8 I could use as a baseline, I agreed. 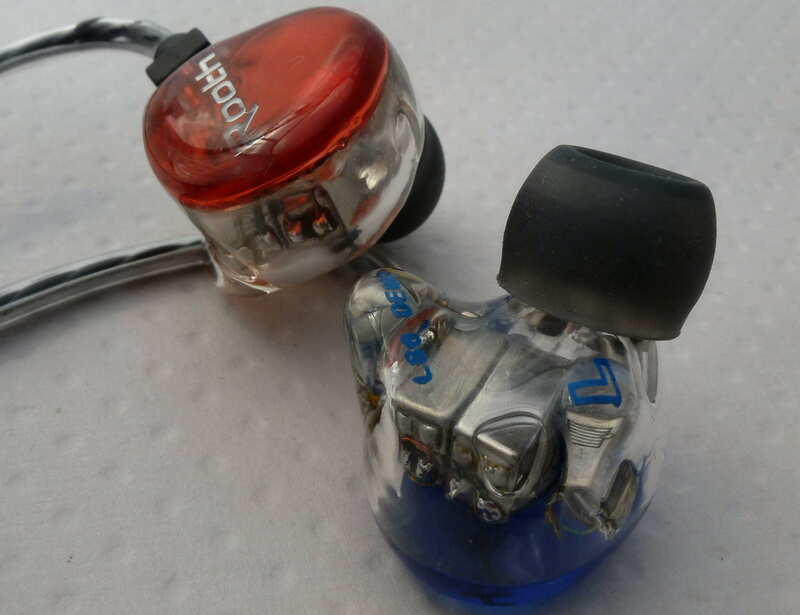 The demo units were made for small ears and have a protrusion in the upper concha bowl area which caused discomfort for all but the LSX5, which was initially made as a universal product. 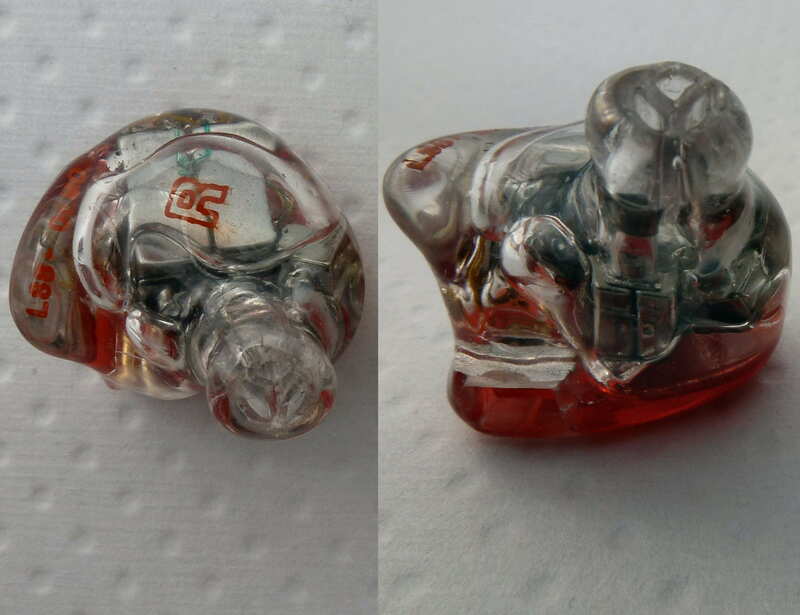 I used triple flange ear tips for all the demos as they provide a very good seal quickly and easily when A/Bing. 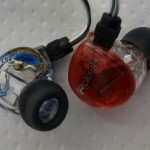 To baseline the evaluation of the demo units, I started with a comparison of the demo LS8 with my customized LS8. Tomo is the only retailer/distributor of the LS8+ and LSX5 as he helped develop the models and can be reached here. Most of the product lineup has similarities with the exception of the LS4 and LSx5. 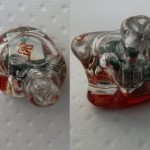 The typical sound is on the brighter side, offering great clarity with a very clean presentation. Notes are liquid even though they are not thick, resulting in a smoothness while still allowing the details to be well articulated. Integration from top to bottom is very good creating a coherence across the entire frequency spectrum, which is a common theme. The LS4 and LSX5 are not as bright and both differ from each other, but still have the liquidity with detail and coherence. The lineup is essentially a melding of a thicker, organic and analytical sound signatures, taking the best of both to give a musical, detailed feel. 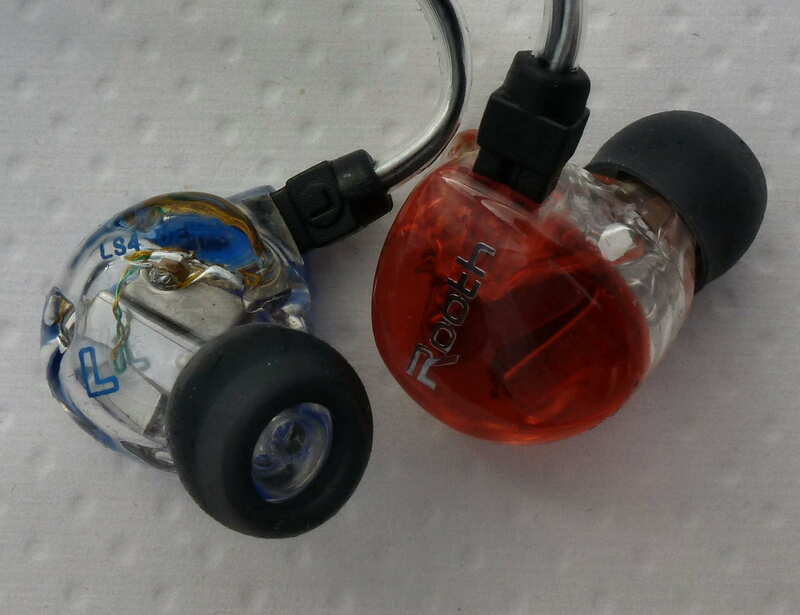 Starting with the bass, the customized LS8 has more and the quality is better, which could be in large part due to bone conduction and a perfect fit/seal . The warmth is similar up through the lower midrange, which was expected. What wasn’t expected was the differences in the upper midrange/lower treble region as the custom LS8 has more emphasis in that area, giving a more forward presentation with better focus and detail retrieval. Even though the LS8 custom is more mid-forward, it is overall more spacious in all directions. Details are more apparent with the custom LS8 and the overall presentation is in better focus with more clarity. Putting everything together, the custom LS8 is brighter with more bass emphasis, more refined, and more spacious leading to a more realistic and involving experience. This comparison is important as the overall sound of the demos will more than likely have similar differences to my customized LS8, however, there is really only one way to find out. What could cause the brightness differences? My custom LS8 has a larger shell than the demo units, and all I can think of is the fit/seal and driver proximity to my ear drum. Another thing to note, but something that I don’t think makes a difference in this regards, is the inner diameter of the triple flange ear tips is narrower than that of many other tips and narrower than the two sound tubes coming out of the tip of the canal. 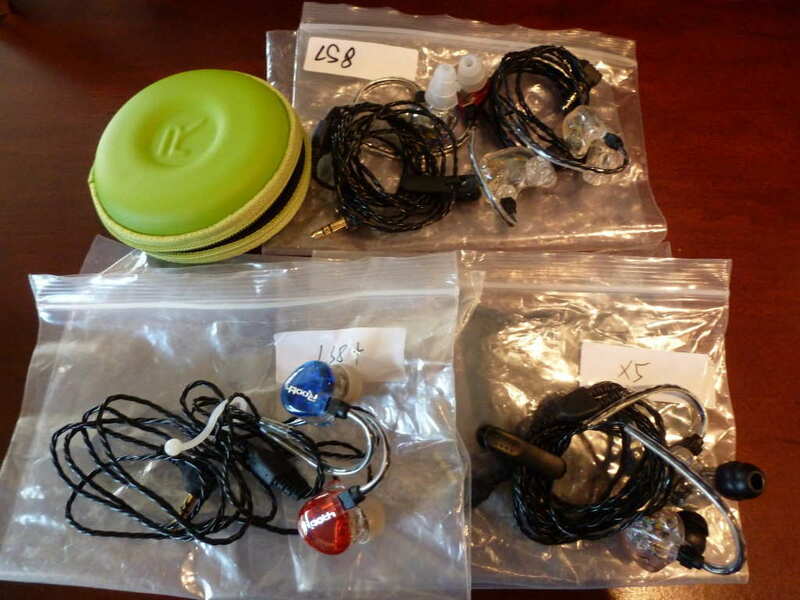 To gauge the LS2 and set the baseline for the entire series I compared the LS2 with the Audio Technica CK10 and EarSonics SM3. LS2 vs. Audio Technica CK10: With a more laid back presentation, the CK10 isn’t as immediate as the LS2 has more upper midrange, but the CK10 has more treble, not that the LS2 doesn’t have treble. The lower ends of the two are not too far off, but the LS2 does have more bass weight and warmth than the CK10. The presentation of the LS2 is clearer and smoother, especially in the treble region. Soundstage size of the LS2 is a bit bigger, more 3D, and more airy even though the presentation is more forward. The LS2 articulates subtle details much better and the presentation has better dynamic range. LS2 vs. EarSonics SM3: With higher levels of detail and bass, the SM3 is a competent universal, but the LS2 has better clarity and has a bit larger soundstage width. The SM3 is known to be mid-forward and the LS2 is slightly more laid back, but not by much. The SM3 is much warmer and bass focused with a thicker overall presentation. LS2 sound: As with all the Rooth products, the upper midrange and treble are a bit enhanced, but overall the LS2 is neutral from top to bottom and a bit on the warm side as it is not thin. Detail levels are between the CK10 and SM3, and transparency is about on par. The clarity is very good, bringing details right to you. For a dual driver, the LS2 sounds very nice. 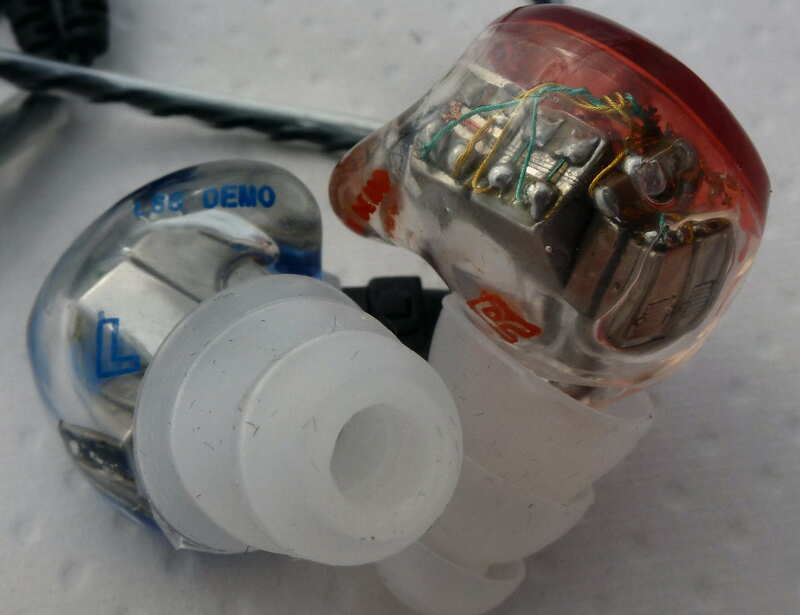 LS3 vs. EarSonics SM3: The LS3 starts to expose the issues with the SM3 as it isn’t as coherent or transparent as the LS3, nor does it have the clarity. Bass power and presentation of the two are fairly close, but the LS3 sounds a bit more powerful overall. Detail levels are pretty close but the LS3 presentation is more spacious. LS3 vs. LS2: There is a bit more air and a good deal more bass with the LS3 compared to the LS2. Bass goes deeper and is surprisingly more capable. The rest of the spectrum is very close in presentation and frequency response. Detail levels and transparency is a notch higher with the LS3. LS3 sound: As with the LS2, the LS3 is on the brighter side of neutral, but still not too far off across the rest of the spectrum, with a bit more bass emphasis and a bit less treble emphasis compared with the LS2. The presentation is rich, on the mid-forward side yet still spacious, airy, and sizeable. The clean and clear presentation has a good amount of bass capability as well, making the LS3 a great triple driver performer. LS4 vs. LS3: The LS4 brings the bass forward in comparison with the rest of the presentation unlike the LS3 which has bass in line with the midrange. With more upper midrange/treble emphasis, the LS3 has a brighter and thinner presentation in comparison and more immediate clarity. 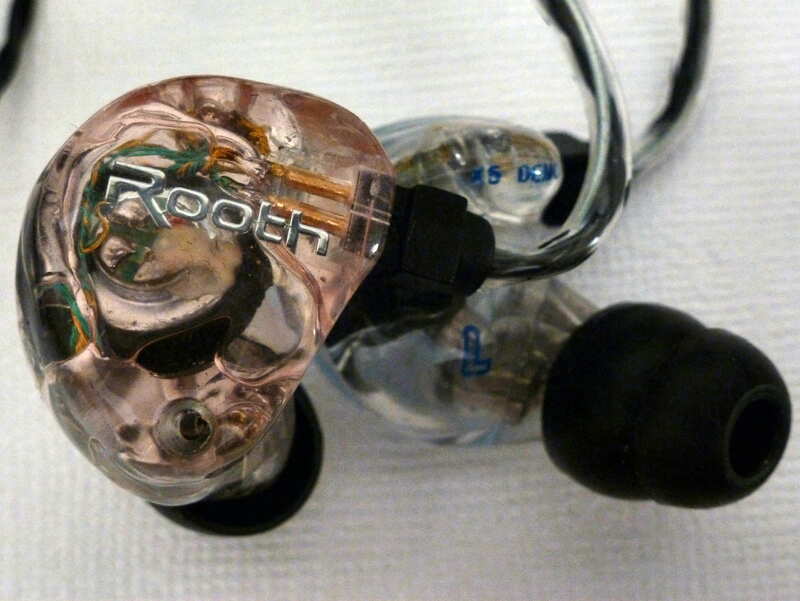 The LS4 does have the Rooth clarity, but it is not as forward as with the LS2 or LS3. In addition to the bass emphasis, the LS4 can output a good deal more bass than the LS3. Detail levels in the treble are a bit less with the LS4 compared to the LS3. LS4 vs. EarSonics SM3: Put on a bass heavy track and you will feel the difference between the two as the LS4 pushes out a good deal more bass, sounding like a bass head IEM in comparison with the more mid-centric sound of the SM3. 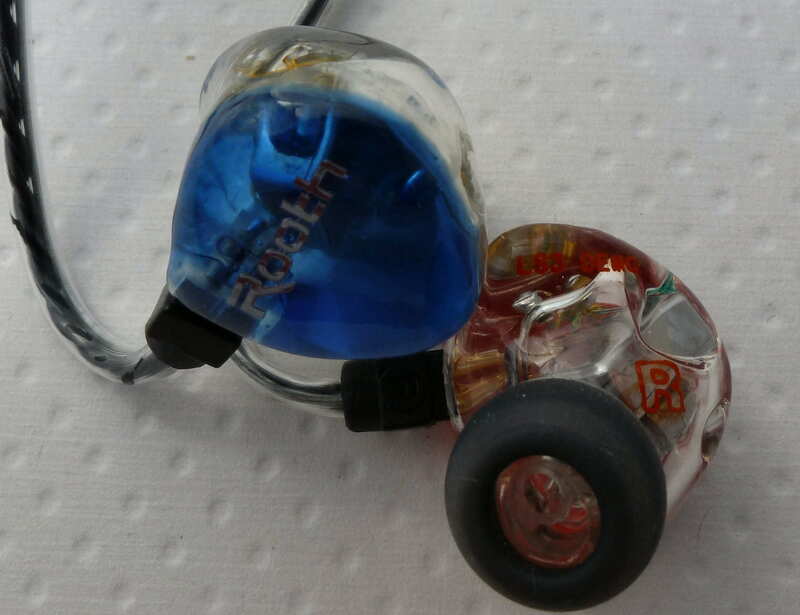 Both have a laid back treble, but the LS4 has a bit more shimmy in the upper end. The SM3 midrange is thicker and more enveloping, but the LS4 is clearer. Detail levels of the LS4 are greater in the bass region and pretty close elsewhere. LS4 sound: With a bass-forward presentation, the LS4 focuses on the bass while retaining the upper end frequency response of the LS3, but presented in a laid back way. The LS4 isn’t as clear as the LS3 or LS2, and the detail levels are in the treble are closer to the LS2 than the LS3, but the bass detail and ability are superior. If you want bass and still get good clarity, the LS4 delivers. LSX5 vs. LS8: The LSX5 is more mid-forward with a smaller presentation space. The bass, while not necessarily more enhanced, has a great deal more capability when there is a lot of bass in a track, but at the expense of control in comparison. The upper midrange and treble are not as emphasized. 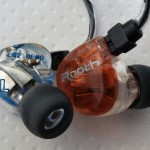 Clarity levels are similar, but the LS8 has more detail in the treble and bass region. LSX5 vs. LS8+: The midrange of these two sounds very similar, but the LSX5 is more mid-forward, however the treble and bass regions differ as does the overall presentation. The bass region of the LSX5 is more forward and prominent conveying more power and richness but the LS8+ has a good deal better control in bass heavy tracks. The treble of the LS8+ is more prominent, detailed, smooth, and notes have better decay resulting in a more natural sound. The LS8+ presentation space is a bit larger but presentation depth is similar. This leads quite a different sound between the two with the LSX5 having a midrange and bass focus while the LS8+ sounds rather balanced across the spectrum. LSX5 vs. Fit Ear To Go! 334: The first song I used to compare the two has some deep bass and I was surprised by how much bass the 334 was putting out, which was more than the LSX5 was outputting. The bass of the 334 is more forward in comparison with the LSX5 which puts a greater focus on the bass, specifically the range around 40 Hz to 80 Hz. The LSX5 also can crank out the bass, but on average it is tame, yet outputs quite a bit with good rumble from 40 Hz on down. While the LSX5 bass wasn’t nearly as tight as the bass of the LS8+, I never got a feeling of lack of control in comparison with the 334. The midrange of the 334 is more forward, but not by too much leading to a more forward and smaller overall sound. They both have good depth to the presentation, but which is better depended upon the track, with victory going both ways. Moving on the upper midrange and treble, the LSX5 has more emphasis in relation to the midrange vs. the 334, but the 334 treble can be more prominent due to the more forward presentation. The LSX5 sounds more airy and the treble is smoother and more analytical. In general the LSX5 has a more set sound while the 334 adjusts more with each track and can sound more realistic and natural depending on the track. The 334 is made for mastering while the LSX5 is a fairly neutral CIEM with a fun side to it. LSX5 sound: The LSX5 has characteristics of the rest of the Rooth line, but does stray a bit like the LS4. 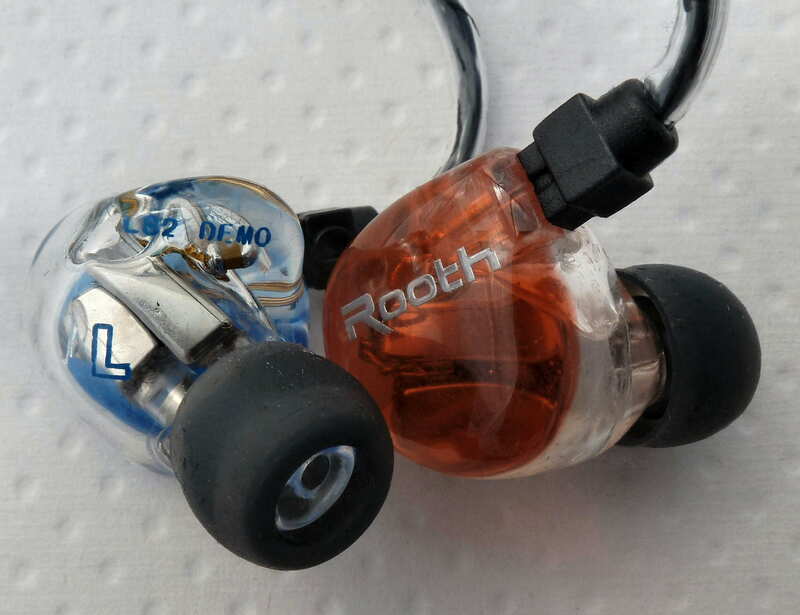 Bass is actually not too enhanced, about on par with the LS8+, but the capability enables more rumble and power than any other model in the Rooth lineup, especially in the deepest registers. The midrange is the most forward and is about on par with the LS8+ quality wise with a nice deep, 3D presentation. The treble is a bit laid back in comparison with the rest of the lineup, providing quality and detail levels about middle of the Rooth lineup, but falling behind the LS6/LS8/LS8+. Integration of the dynamic bass driver with the balanced armature drivers is excellent and the LSX5 has the best driver coherence I have heard from a hybrid. 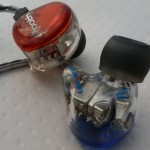 With bass heavy tracks it is apparent that the bass driver is not a BA, but the overall liquid note is retained from top to bottom. Tonally the LSX5 sounds very good and natural, although a slight step down from the LS8+. Overall there is quite a bit to like with the LSX5 as you get a coherent, clear, and slightly bright presentation with fairly neutral but capable bass and very good presentation depth. LS6 vs. LS3: Both have an overall similar sound but the LS3 is a bit brighter and a little more mid-forward compared to the more spacious LS6, which also has better detail, dynamics, refinement, and bass capability resulting in a more musical presentation. The LS6 is clearer with better articulation within the presentation, and it is also more revealing of poorly mastered tracks. Tonally the LS6 sounds more natural. LS6 vs. LS8: The LS8 is warmer and has more bass enhancement which makes it sound a bit less bright in comparison with the LS6. Most of the attributes are similar except treble extension, which the LS8 performs belter, so it comes down to sound signature. And the LS8 is a warmer, richer and more powerful sound in comparison with the more neutral sound of the LS6. There is more depth to the presentation of the LS8. 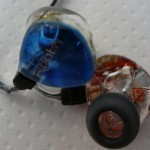 LS6 sound: The LS6 has a very natural and neutral sound that is not boring, but not adding the excitement of coloration. However, there is no lack of bass when the song calls for it. 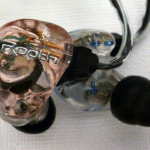 The tone is excellent and detail levels are high, with a clear and clean sound. Notes are not thick, but not overly analytical as they have a nice liquidity to them. 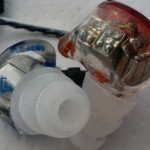 There is quite a bit of sound to the presentation, which is neither mid-forward nor mid-recessed. LS8 vs. LS8+: The size of the space between these two is quite close but the actual presentation differs as the LS8+ has a bit more forward midrange and a bit less upper midrange emphasis. The LS8 has more bass enhancement and a warmer presentation resulting in more of a V shaped sound signature while the LS8+ is more balanced across the spectrum (not unlike the LS6, but richer and more refined). While both are liquid, the LS8+ is more refined, cleaner, clearer, and smoother as well as offering a bit more 3D of a presentation. LS8 sound: The LS8 builds on the sound of the LS6, but is warmer and tonally a bit darker than the LS6. Imaging is very good and there is good space and depth to the presentation with capable bass that is enhanced and warm with an overall liquid tone to the notes from top to bottom. Clarity is very good, but not quite as good as the LS6 or LS8+. This is an excellent midpoint between the LS4 and LS6 while offering more detail and clarity than the LS4. LS8+ vs. Fit Ear To Go! 334: With a natural and rich but neutral sounding presentation, the LS8+ gives a more balanced presentation than the bass enhanced and mid-forward 334. The midranges of the two are fairly similar, but the 334 is more forward and the presentation changes more with each track. The treble of the LS8+ is brighter, smoother, and more detailed as well as more forgiving. The LS8+ is more spacious, although both can present music in a very 3D space. Overall the 334 has more of a bass emphasis in a more forward presentation compared with the brighter, more balanced, and spacious and laid back LS8+. LS8+ sound: The LS8+ falls between the LS8 and LS6 in terms of frequency response. The warmth is closer to the LS6 than the LS8 and tonally of the midrange on up is closer to the LS6. The bass of the LS8+ is tighter than that of the LS8, but not lacking, the midrange is cleaner, and the treble is more natural sounding. Overall the LS8+ has a better focus than the LS8 which results in a higher resolution recreation of music. Spatially the LS8 is a bit wider and more laid back but the two are quite close in overall size, and the LS8+ has superior depth to the presentation. The added refinement, presentation depth, closer to neutral sound, and more natural treble note decay make the LS8+ more musical than the LS8. 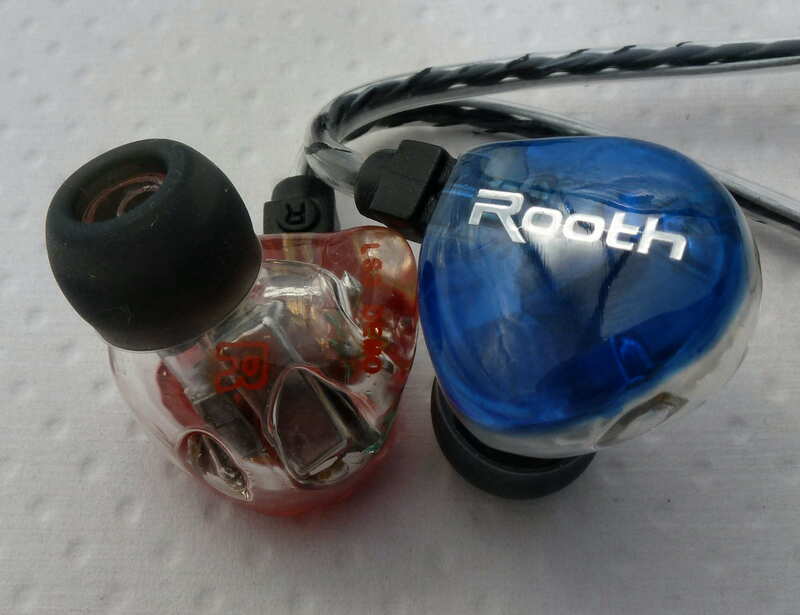 Overall, the LS8+ is the highest performing of the Rooth demos and also the most pleasing. 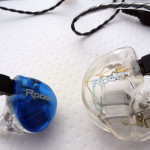 * Mention this article and Tomo can provide a discount (approximately 15% for many models).